Sure, many of Burton’s films — from ‘Pee Wee’s Big Adventure’ to ‘Beetlejuice’ to ‘The Nightmare Before Christmas’ to ‘Charlie and the Chocolate Factory’ — have featured the same blend of fantasy, whimsy and visual spectacle one finds under the big top. And, yes, the circus is the setting of his latest movie, a live-action re-imagining of the much-loved 1941 Disney animated film ‘Dumbo’, which will hit theatres in the UAE on March 28. But actual circuses have never been his thing. There is one thing Burton does appreciate about the circus, though: the idea that it represents a thrown-together family of oddballs. 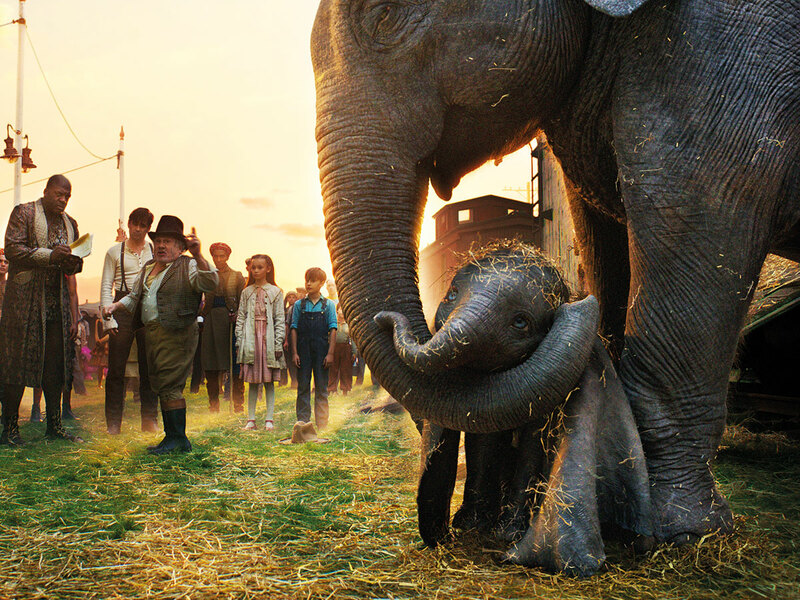 While the titular giant-eared flying elephant takes centre stage in Burton’s ‘Dumbo,’ now as a CGI creation, the underdog pachyderm is placed in an entirely new story, featuring Colin Farrell as a wounded First World War vet who returns to a struggling circus run by DeVito’s ringleader and helps train the baby Dumbo, while Keaton plays a ruthless businessman who tries to exploit the elephant’s special talents for his own ends. The film is just the latest in a string of live-action remakes of Disney animated hits, including 2017’s ‘Beauty and the Beast,’ 2016’s ‘The Jungle Book’ and 2010’s Burton-directed ‘Alice in Wonderland,’ with ‘The Lion King’ due this July. That idea of a character that is weird and doesn’t quite fit in, being taken in by a large family. Dumbo felt like it was for people that feel like that. As a newcomer to Burton’s troupe, Farrell was fascinated to watch the director at work. Along with separate interviews with Farrell and Green, we spoke with Burton, Keaton and DeVito about reuniting to re-envision a Disney classic. Despite the more than 25 years that have elapsed since their last collaboration, the three shared an easy, joking rapport, with Burton gently teasing DeVito for having tripped on some stairs at a press conference for the film in Mexico City a few days earlier. What were all of your histories with the original ‘Dumbo’? Was it a movie you remember connecting with as a kid? DeVito: I’ve seen it a lot. My sisters took me when it played in theatres when I was a kid in Asbury [Park, New Jersey]. We had five movie theatres and they used to re-run all kinds of stuff. I’d go to those theatres every weekend. That’s where I first saw ‘Dumbo.’ Then, of course, I have three grandkids, so, over the course of the years, it became one of their favourites. Keaton: I didn’t have that experience Danny had. I never really knew ‘Dumbo’ from seeing it. It was just kind of like, ‘Yeah, I know what it is.’ I grew up seeing movies on television because we lived fairly far from, like, these little mill towns [in Pennsylvania]. To go to Pittsburgh — there was like one car and seven kids, so there was no way. Burton: I loved it growing up. But you know, I didn’t love it necessarily as the best movie — I just loved the idea of it. That idea of a character that is weird and doesn’t quite fit in, being taken in by a large family. ‘Dumbo’ felt like it was for people that feel like that. It was a very simple symbol for all of that. DeVito: There’s always a certain amount of kinetic artistic energy that’s flowing through him. From the beginning, when I met him on ‘Batman Returns,’ what you noticed is the visual language that he has. I remember his office was filled with these amazing drawings of every character and where he was going with it. Hanging out with him on the set, I get the feeling that we’re part of his paintbox. He gives you leeway and you can go various ways to give him what colours he wants. But everybody is serving the master that he’s serving. That’s what makes it exciting. A lot of people probably have an image of Tim as being this tortured, macabre guy based on some of his movies. ‘Batman Returns,’ for one, is a pretty dark movie. Do you think those people would be surprised to see him making a sweet family-friendly movie like ‘Dumbo’? Burton: Can you help me with this? You bring up a point: People said ‘Batman’ was dark. But, then, half of the people I would talk to about ‘Batman Returns’ would say it was much darker, and half of them would say it’s much lighter. That’s one I don’t understand. [shrugs] I mean, I’m supposed to be the king of darkness, so I should know. But it’s weird. The original ‘Dumbo’ is one of the first Disney movies a lot of kids see because it’s a very simple sort of fable. But Tim, when I spoke with Eva, she said it was important to you that this version have some edge to it as well. Burton: Yeah, I mean, it’s already sweet. You can only take so much cute. That’s the reason I think the original movie is so short. That’s what I liked about this idea when I was presented with it: it tells a parallel story to Dumbo’s about this dysfunctional circus family, this guy who comes back from the war who’s shellshocked and has lost his arm. He’s displaced. His kids are displaced. Everybody is displaced. And the little flying elephant is the symbol of that. When you’ve done these movies where you’re re-imagining an existing property — whether it’s ‘Planet of the Apes,’ ‘Charlie and the Chocolate Factory,’ ‘Alice in Wonderland’ or now ‘Dumbo’ — do you approach them differently from an original project like, say, ‘Beetlejuice’? Burton: Definitely. There’s something perverse about these sorts of challenges. But I didn’t see this like that. When I was first talking about the idea, it was not about, ‘Oh, we’re doing all these Disney live-action [remakes].’ I just liked the idea of it. So there was a certain liberation to say, ‘You can’t really tick all these boxes.’ People’s love of it is not tied into something literal. It’s tied into a feeling that they got from the movie. So it’s a different medium, different story, but we’re trying to have that same feeling. DeVito: In our new ‘Dumbo,’ you feel all the values that were in the original movie: all the empathy and all the caring and the idea of trusting yourself and nailing the xenophobia. Tim kept all of that but brought it to another level. It’s really great to see that realised. 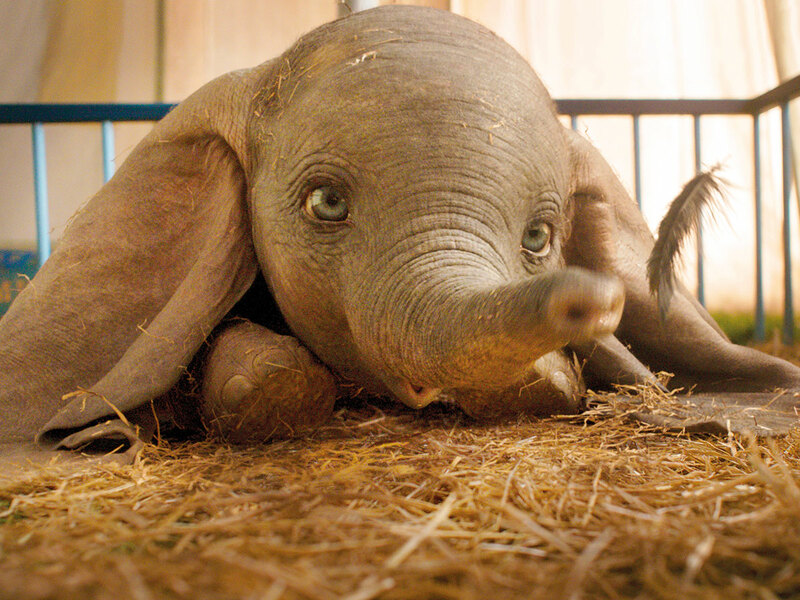 Dumbo releases in the UAE on March 28.